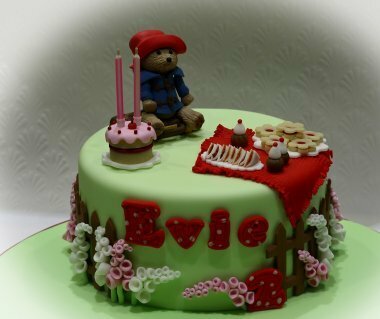 Mums Bake Cakes is a nationwide team of professional bakers delivering personalised birthday cakes to your door. Order the cake of your loved one's dreams to make their important day extra special. 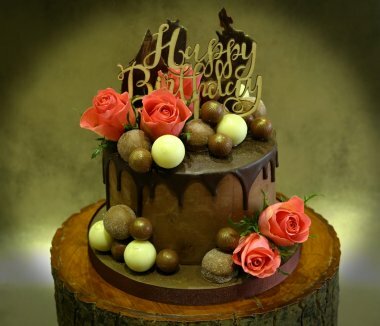 Our talented bakers can create made to order birthday cakes of any size, shapes or flavour! Choose your design, flavour and style based on their preferences (or yours!) and get in touch with us today. You’re probably wondering- how do I order my bespoke birthday cake online? We know that finding a local company can be difficult and time-consuming, which is why we collaborate with local, licensed bakers across the UK and send your orders to them directly. That means that wherever you are, a delicious and personalised birthday cake is never too far away. 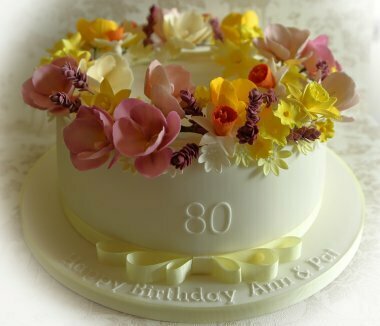 Simply enter the type of cake you’d like along with your postcode, and a selection of bespoke birthday cakes available in your local area will appear. Then, select the type of cake you’d like and add it to your basket. You’ll have the opportunity to personalise your cake with particular wording, colours or any decorative details that you’d prefer. Once you’ve selected your delivery date and filled out our instructions, simply continue through to our payment process. 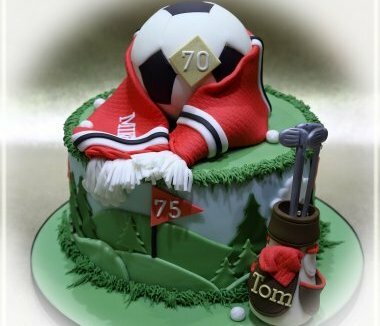 Once this has all gone through, a local baker will receive your order and whip up a sumptuous personalised birthday cake in no time! 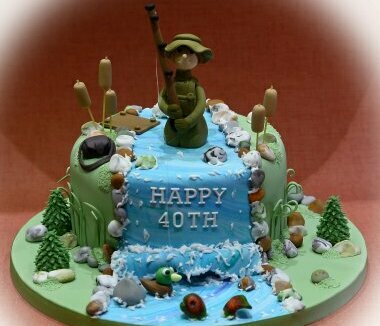 What type of bespoke birthday cakes can we produce? What better way to show that you really know and care for your loved ones other than a personalised cake. Each and every cake produced by our bakers is made with love! Number cakes - ensure everyone knows how old the birthday boy/girl is, especially if it’s a landmark birthday. Bespoke Birthday cupcakes - there is only one thing better than a cake - several cakes! 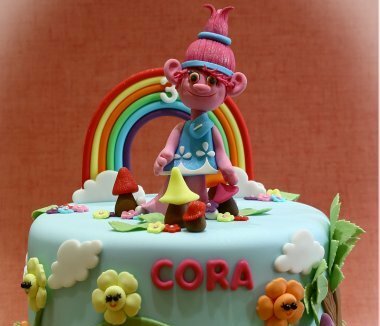 Children’s birthday cakes - give your child a cake they’ll never forget with a bespoke birthday cake. Decorate with their favourite TV show character, colours and more. Whether they’d love a paw patrol cake or a unicorn style tiered cake, you’re bound to find something they’ll love. 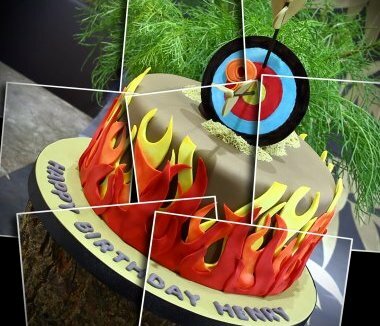 Themed cakes - branded TV, Music & Movie cakes - Does your loved one have a favourite band or TV show? Perfect! Provide a personalised birthday cake that they’ll never forget with our cakes made with their favourite things in mind. Examples include our Chanel cake and our spectacular tee shirt cake. Ombre birthday cakes - if you’re looking to bring added elegance and style to a party, then an ombre cake is the ideal option. Do you deliver birthday cakes in my location? Most Likely! We cater to even the remotest of areas across the UK thanks to our wide network of cake-bakers. View our delivery areas page to see who’s available in your area. 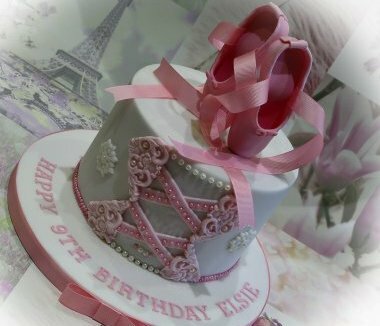 Browse our network of expert cake-makers and have your birthday cake made to order with Mums Bake Cakes!